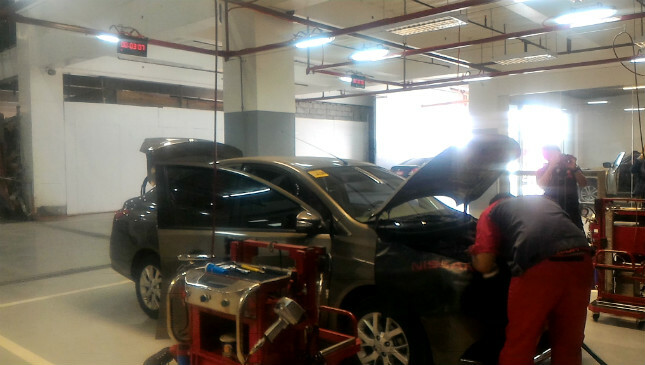 A car’s periodic maintenance service (PMS) is usually a half-day ordeal. You book your time with a dealership’s service center, then kill time for a few hours before it’s done. By the time you leave, you’re usually left wondering where all that time went. To make the service experience more pleasant for its customers, Nissan Philippines (NPI) recently launched the Nissan Express Service, which is designed to provide quicker and more convenient service to Nissan owners. Under this scheme, customers can expect their PMS done and dusted within 30 minutes, otherwise the labor fee for the job is waived. 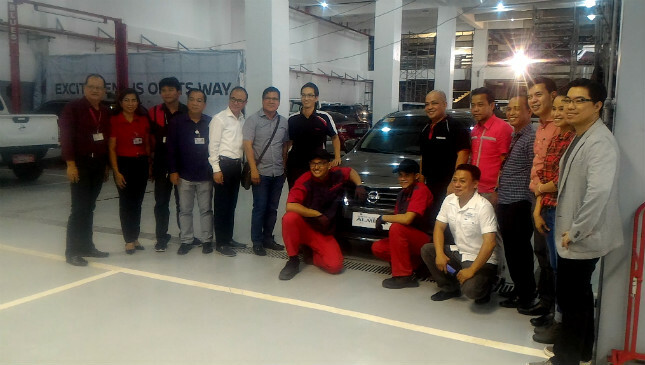 The official launch took place at the Japanese carmaker’s new dealership in Sucat. The time starts from the time your car enters the service bay to the time it rolls off. Two mechanics work on each car from a systematic 35-point checklist to ensure that everything is in working order. We witnessed this for ourselves, and we can confirm that the workflow is pretty much down to a science. 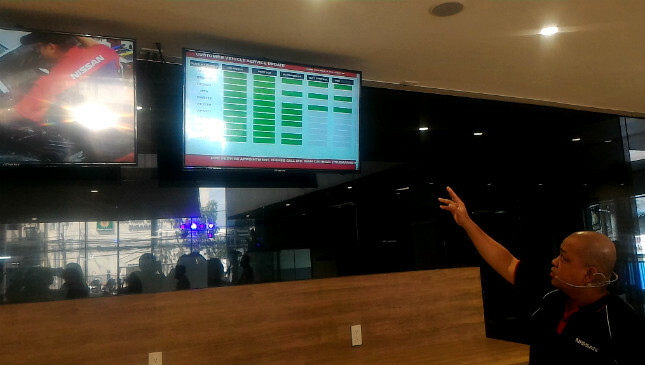 According to NPI general manager for after-sales and customer relations Abner Berdos, the quick turnaround for each Nissan vehicle is possible due to the cars being built on a similar internal layout. 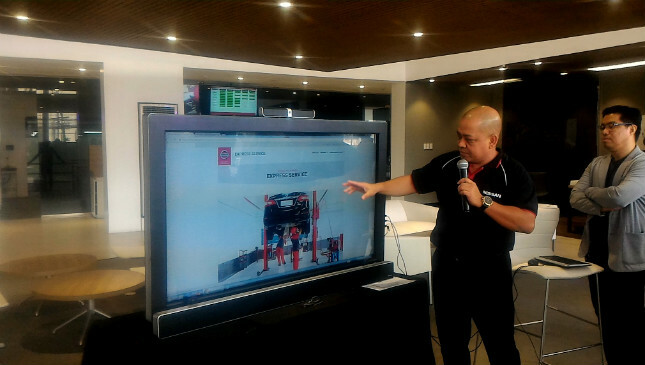 While waiting, customers can monitor their job’s progress from a monitor in the showroom. In the event of a bigger job, like if a major part needs to be replaced, a service advisor will inform the customer that more time will be needed to complete the work. 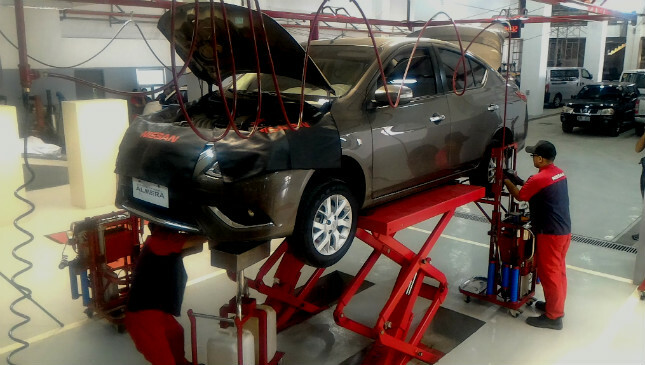 All Nissan vehicles currently on the market, except for the Patrol and the GT-R, can avail of this service. To make the experience even easier for customers, the Book-A-Mechanic lets customers book a time, date, and location for their service on NPI’s website. A reserved slot will only be held for five minutes after the booked time to ensure precise timekeeping. The online service also gives customers a cost estimate, so they know exactly how much the job will cost before they visit the dealership. Nissan Express Service is currently available at the following dealerships: Sucat, Quezon Avenue, North EDSA, Mantrade, Southwoods, Ortigas, Westgate Alabang, and Shaw Mandaluyong. Other locations will also begin offering the service within 2017. All Rights Reserved 2015. © Copyright - Bilinear Inc.